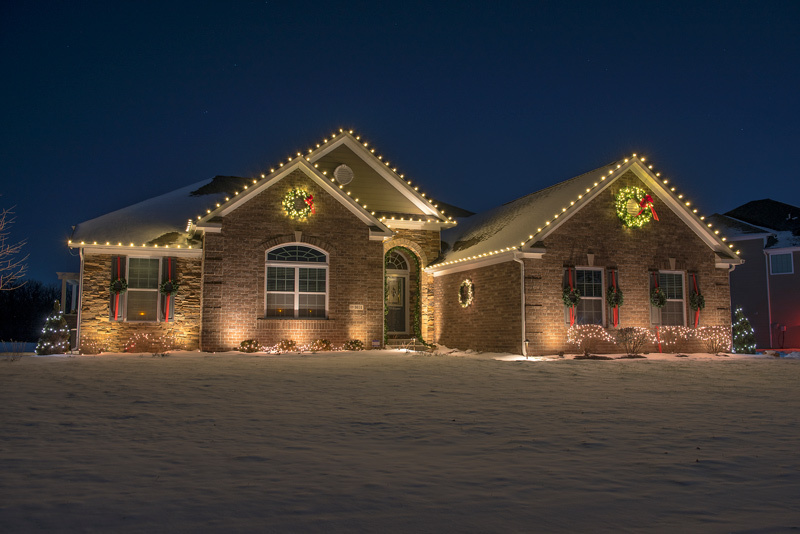 Reap the Benefits of Professional Holiday Lighting! There’s something about seeing your property all decked out in festive holiday lighting that just feels good. It’s like the entire landscape has had a facelift. The problem many of us face is finding the time to hang the lights, staying safe while doing so, and implementing the design you have visualized. 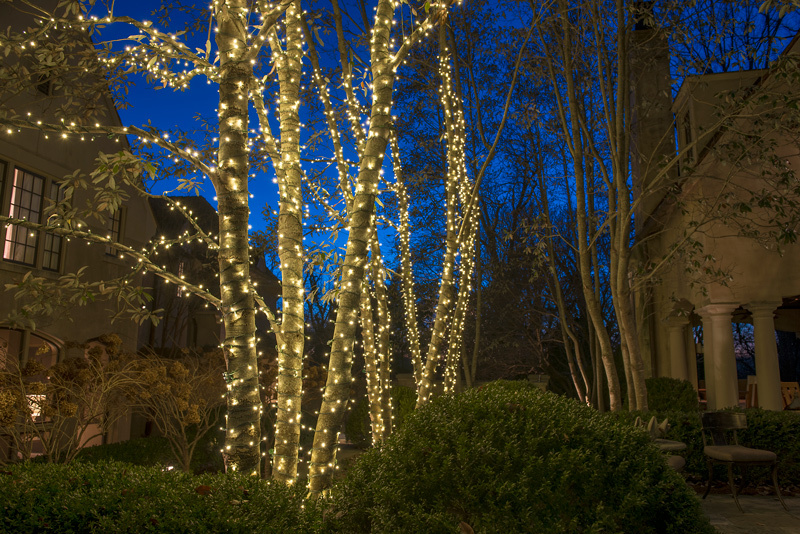 Reap the benefits of professional holiday lighting and let the magic of the season begin. This year, rather than fighting your way through the process, consider the many benefits of how the artistry of light can enhance your professional holiday lighting design. We’ve all been there. You dedicate an entire afternoon to draping lights all over your property, only to discover that half of the items needed to complete the job have disappeared since last year. Or, only one string out of the 500 you had in storage works. Even worse, all the lights work but they are so knotted up in a ball that unwinding them would take until the New Year. Not only does this mean the afternoon you’ve set aside is long gone, but also spending money you hadn’t budgeted for is now in the cards. Professional holiday lighting designers have everything needed in their truck. They have already discussed with you your perfect holiday lighting scheme and understand what you want. As soon as they arrive on your property, they get right to work enhancing your space with light. Best of all, you don’t have to worry about your safety or deal with the elements. Your holiday scene will be installed safely, expediently, and customized to suit your home or building for its maximum appeal. Creating a beautiful design with holiday lights isn’t easy, especially if you live in a neighborhood that likes to have themed holiday light shows. A professional holiday lighting designer will consult with you and make your landscape shine in a creative and ‘enlightened’ way. The result will be a polished and elegant design will make you, and everybody who drives past your property, say “Oh Wow!”, as you spread the joy of the season to neighboring homes or welcoming customers more into your business. 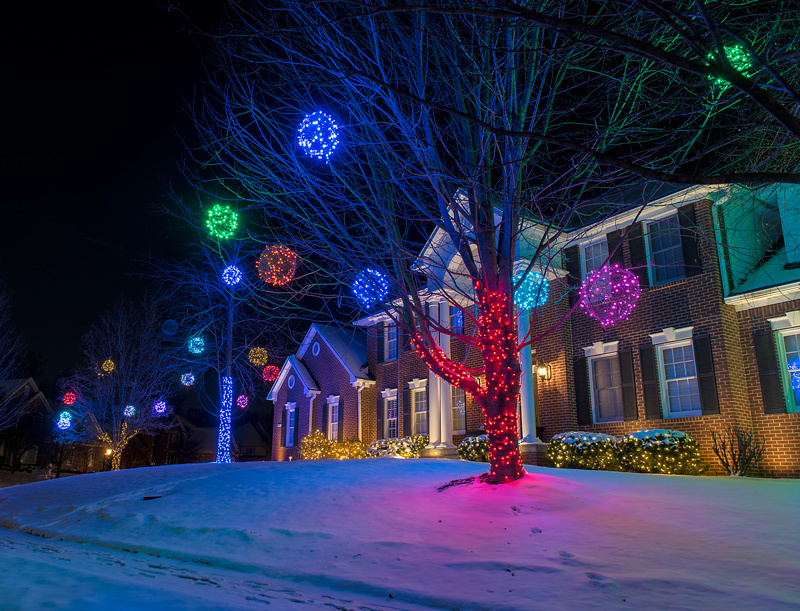 Professional holiday lighting isn’t just for residential property owners. Businesses frequently find that decorating the exterior of their property is an excellent way to trigger an increase in holiday revenue. The artful and attractive light show can give your business a pleasant aura that encourages customers to come in and make a few purchases. Holiday lighting can generate a great deal of foot traffic to any business. Businesses that consistently deck themselves out with attractive holiday lights become a big draw and develop a great deal of brand recognition, which can lead to a nice increase in year-round revenue. 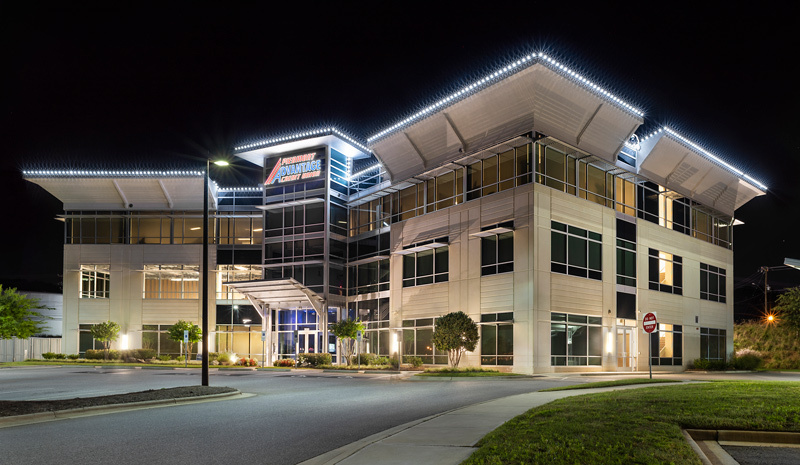 According to Tim Adcock General Manager of the Lighthouse Outdoor Lighting locations in North Carolina, “A custom lighting design can enhance a commercial property in many ways. 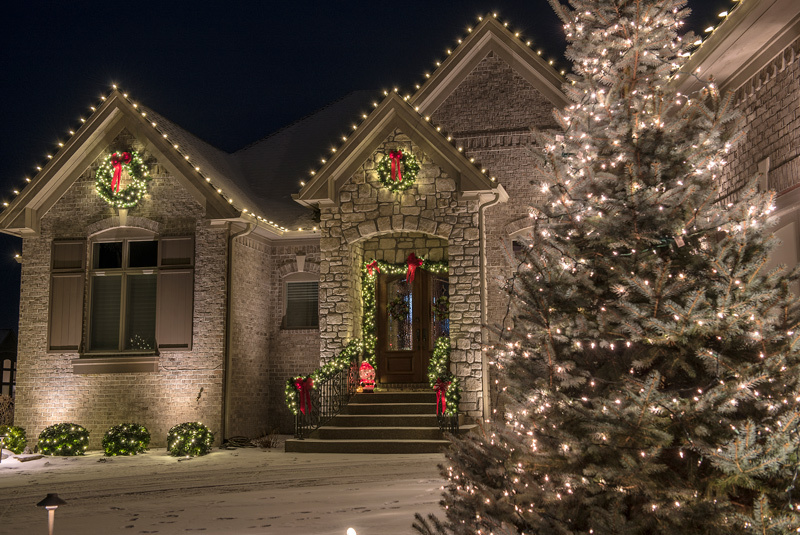 Whether your establishment welcomes clients through its doors daily or its your curb appeal that reminds customers to give you a call, holiday lighting shows your commitment to serving the public. An exceptional holiday lighting design gives customers a positive way to remember your business and its professional attitude”. A single string of holiday lights strung across the front of your garage is no longer going to cut it when it comes to decorating for the holiday season. These days, people use hundreds of lights to create elaborate displays. There are even some neighborhoods where homeowners are required to sign contracts insisting they decorate for the holidays. A professional outdoor lighting service is the best way to ensure that your home looks as nice (or even better) than your neighbors. You won’t believe how some well-placed lights turns your home into a work of art. “The best holiday lighting designs are created as a reflection of each homeowner’s creativity and desire. From elegant and stylish to ornate and intriguing, bringing a home into the holiday season with lights is a gift for all to enjoy. Our team likes to take the uncertainty and stress out of putting up your lights and instead, make it an experience worth smiling about”, said Tim. Holiday lighting isn’t just for the exterior of your home or office, it’s for your trees too! Wrapping your trees in light is a great way to enhance your landscape in a subtle and sophisticated way. This technique will create a unique experience on your property while providing some “holiday magic”. Our lighting designers will know how many lights your trees will need, how to wrap them vertically in a way that is appealing, and how to keep the trunk and branches of your trees safe. Among the many benefits of professional holiday lighting is that you do not have to pack and store anything. Not only does our team put up the lights and take them down again in January, but we also handle the storage. No more worries about the lights getting tangled or damaged during the summer. You can enjoy having all that space back in your garage. Professional holiday lighting means a no hassle plan. Commercial grade lighting that is customized for your property. A highly qualified Landscape Lighting Professional that has received national recognition for their artistic outdoor lighting and design. Free evaluations and a full-service quote. Installation, activation, removal, and storage of all your lighting. We offer holiday lighting services in Cincinnati, Columbus, and Dayton, Ohio, Denver, Colorado, Des Moines, Iowa, Greensboro and Raleigh, North Carolina, Indianapolis, Indiana, Jefferson City, Missouri, Nashville, Tennessee, and Southern California. 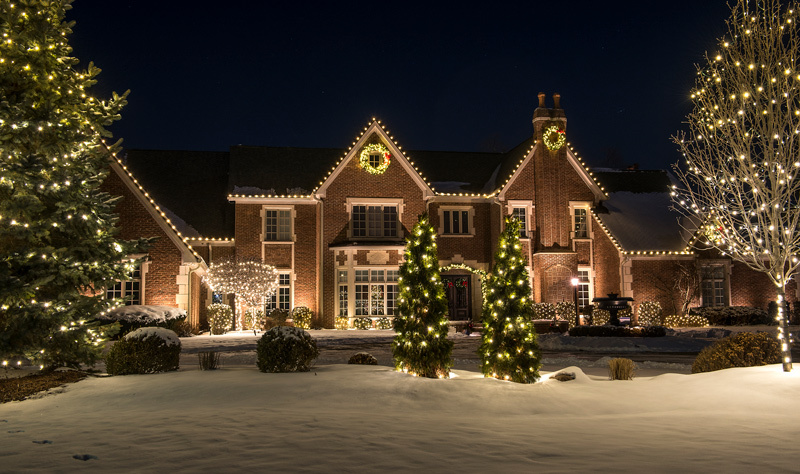 Contact Lighthouse Outdoor Lighting about our professional holiday lighting services to learn exactly how we can transform and enhance your home or business with light into a stunning work of holiday art.